ADJA announces The Las Vegas DJ Show! For a limited time ANYONE, your friends,spouse & staff DO NOT have to be ADJA members to attend this incredible conference priced so affordable at just $49! This is the best DJ Show value offered anywhere. This year the show looks awesome. We are once again back at the gorgeous LVH! 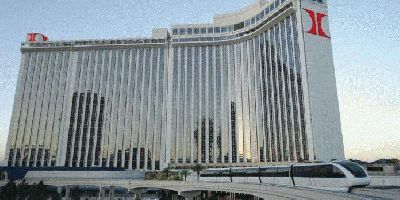 (Formerly the Las Vegas Hilton). 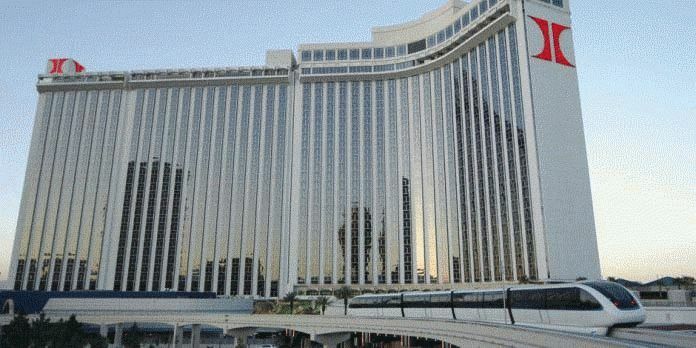 We are excited to be bringing the Show back to a premium property with all the amenities you expect in Las Vegas. The Paradise Cafe will once again be host to Breakfast with The GameMaster, Scott Faver! This is the ONLY place west of The Mississippi that you can attend BWTGM & of course it is totally FREE with your Conference pass. American DJ has stepped up to be our Platinum Sponsor this year & will be hosting a great poolside reception with free drink tickets for the first 250 attendees to visit their booth. There will also be 2 for 1 drink specials, half priced food offerings, with live entertainment. The weather will be gorgeous, perfect for sitting around the pool networking with friends old & new. This will really be "Cool by The Pool"! This track is where you get your nerd on talking about gear, dealing with digital media players, file formats & structures, Lasers & using computers to deliver your services. This track is designed for helping you to build your business by growing the number of DJs in your organization. This will be great information on how to get started, & how to improve your operational success. In this track we will have sessions geared to tactile mixing. It will be all about the latest trends, tips & techniques on mixing from the One's & Two's...... We will have presentations from major players in the tactile mixing game, you don't want to miss it! We are very excited to be bringing a POWERHOUSE lineup of presenters starting with our Keynote, Richard Blade. Richard Blade is iconic in the DJ Industry, his efforts not only transformed radio, but additionally television as well. He launched a small cable access program in the 80's named Video One that went on to be a major Music Video Network. Richard is not only a working DJ but a host on Sirius XM Channel 33. You can read more about Richard at The Las Vegas DJ Show Keynote. We are also bringing Back Todd Mitchem to the big stage. Todd hasn't spoken at a national DJ conference for nearly a decade. Todd is one of the original innovators of training DJs. His programs have helped thousands of DJs to be better performers. Todd brings a new seminar never seen before in our industry called "The Power to Innovate". This will inspire you & improve your performance. Now add Networking expert, Casey Eberhart, His experience as a producer in Hollywood, where networking really counts & how major deals are done will share with you tips & techniques to improve your networking success. He will show you how ideas are networked..... Attendees at his sessions have often been described as Gary V. without the colorful metaphors. You want the Truth? We are bringing the truth about the Mobile DJ biz to the stage with a witty, fact filled presentation from none other than Michael Buonaccorso! Mike Co-founded Mobile Beat & is an icon in the Mobile DJ industry. He recently released a great book called "A Different Spin". A very fun & enjoyable read about the industry we love. Mike will share the insights to the book & his experiences being out front in the Mobile DJ industry for over 20 years. This will be fun! Now add in the rest of our presenters, literally a Who's Who list of speakers both in & out of the DJ industry, a veritable pantheon of experts in their own rights, this event is shaping up to redefine DJ conferences. Check out all the presenters at: Vegas Show Speaker Roster. Next comes the greatest night life provided at a conference with A VIP night on the town at the A-List night club The Marquee, a $50 value FREE with your conference pass & your have got the killer event. Did we mention you'll get an open bar for the first hour? We also have 3 more VERY special surprises for the Marquee event. You don't want to miss it! So what are you waiting for? Get on over to TheLasVegasDJShow.com & Get Registered today! The $49 pass deal will be ending soon!